Rinneadh gàirdeachas mòr ris a’ chiad nobhail le Ann Leckie, Ancillary Justice, nuair a thàinig i a-mach an clò an-uiridh. Bha Ancillary Justice gu h-iongantach soirbheachail. 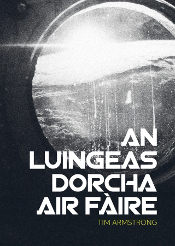 Choisinn an nobhail na trì duaisean a bu mhotha ann am ficsean-saidheans ann an 2014: Duais Hugo, Duais Nebula agus Duais Arthur C. Clarke, agus a bharrachd air càileachd an sgrìobhaidh innte, rinneadh mòran iomraidh air a’ choltas eadar Ancillary Justice agus an t-opra-fànais aig Iain M. Banks. Dhùisg an coimeas ri Banks m’ aire gu sònraichte, agus nuair a thàinig an darna nobhail aig Leckie a-mach o chionn greis, Ancillary Sword, ghabh mi an cothrom an dà nobhail a leughadh, tè mu sheachd. 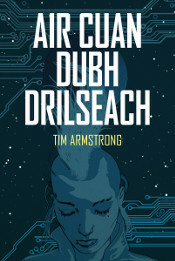 ’S e Acillary Justice agus Ancillary Sword a’ chiad dà nobhail ann an sreath de thrì, suidhichte ann an siobhaltas eadar-reultach dan ainm, Iompaireachd na Radch, fo cheannas aintighearna a tha beò mar inntinn-lìonraidh air a sgaoileadh eadar iomadh corp clonnaichte. Tha an sgeulachd san dà nobhail a’ leantainn corp daonna a tha na ealamaid de dh’inntinn luinge-fànais tùrail, Justice of Toren, agus i air tòir dìoghaltais air feall a dh’fhulaing i. Leughar bhon toiseach cuspairean a tha gnathasach anns na nobhailean Cultar aig Banks — longan-fànais tùrail agus inntinnean-lìonraidh — ach cuideachd, coltach ri Banks, tha Leckie a’ cleachdadh ficsean-saidheans mar chothrom cnuasachaidh air ceistean mòra a thaobh teicneòlas, saiceòlas agus nàdar a’ chinne-dhaoine. Cha do rinn a h-uile duine moladh air an taobh seo dhen obair aig Leckie. Sgrìobh Nina Allan ann an Arcfinity gu bheil “the ideas contained in Ancillary Justice seem disappointingly simple: empires are evil, class systems are oppressive, absolute power corrupts absolutely.” Ach ann an da-rìrirbh, an e sin na h-uile a fhuair Allan àiste? Cha chreid mi gun do leugh Allan is mi fhìn an aon nobhail. Dhomhsa dheth, bha an coluadair eadar na caractaran aig Leckie so-chreidsinn agus ioma-thaobhach. Le bhith a’ leantainn inntinnean-lìonraidh sa chiad phearsa, tha Leckie a’ togail cheistean inntinneach mu fhèin-aithne agus mu shaor-thoil nach gabhadh togail gu furasta ann an genre sam bith eile. Agus a chionn ’s nach eil cultar na Radch ag aithneachadh gnè, tha an t-aithrisiche a’ cleachdadh an riochdair bhoireann, ’she’, air a h-uile duine, nòs a nì an leughadh beagan mì-chinnteach an toiseach, ach an uair sin, fosgailte agus saor. 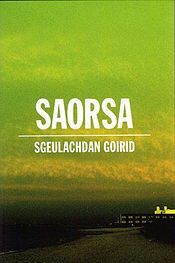 Is iognantach cho cudromach ’s a tha gnè dhuinn ann an tuisgsinn aithris, agus cho eadar-dhealaichte ’s a tha aithris nuair nach eil gnè na phàrt dhith. Chan eil e cothromach coimeas a dhèanamh eadar Leckie agus ùghdar cho stèidhite ri Banks, is dòcha, ach leis cho coltach ’s a tha cùraman agus cuspairean an dithis ùghdair, tha e inntinneach faicinn far nach eil iad co-ionnan. Chan eil an aon àbhachd dhorcha aig Leckie ’s a bh’ aig Banks. Ann an corra àite far an do dh’fheuch Leckie fella-dhà, cha do dh’obraich i. Agus mar sin, tha an aithris aig Leckie nas dorcha na Banks. Tha an taobh a bharrachd sin aig Banks, an àbhachd dhorcha, ga fhàgail fhathast gun chosmhail, agus tha èis na h-àbhachd sin a’ fàgail an sgrìobhaidh aig Leckie beagan nas dìrich, far a bheil Banks carach agus nas doimhne. Cuideachd, chan eil an aon ùidh ann an susbaint an teicneòlais aig Leckie. Tha Leckie a’ cosg mòran a bharrachd fhaclan air an dàimh eadar na caractaran, agus nas lugha air dealbhadh an t-saoghail a chruthaich i. Chan eil mòran beachd againn air coltas nan longan, mar eisipleir, no cruth nan stèiseanan-fànais anns a bheil mòran dhen sgeulachd san dà nobhail a’ dol air adhart. Ach anns an dòigh seo, tha e soilleir gur e saiceòlas agus dàimhean eadar-phearsanta na cuspairean as cudromaich do Leckie, seach teicneòlas per se. Tha an dà nobhail air an sgrìobhadh gu cuimir, ach chanainn gu bheil Ancillary Justice nas fheàrr na Ancillary Sword. Bha Leckie mu shia bliadhna ri sgrìobhadh Ancillary Justice — ga tòiseachadh ann an NaNoWriMo is coltach — ach thàinig Ancillary Sword a-mach taobh a-staigh bliadhna as a deidh; aithnichear an ùine a choisg i air a’ chiad tè. Cuideachd, mar darna nobhail ann an sreath de thrì, tha Ancillary Sword a’ faireachdainn car coltach ri drochaid seach nobhail fa leth, agus tha sin do-sheachanta is dòcha. Mheal mi Ancillary Sword co-dhiù agus tha mi a’ dèanamh fiughair mhòr ris an treas nobhail. Air fianais a ciad dà nobhail, tha Lechie a’ dol a thogail air an dìleab a dh’fhàg Banks, ach anns an dòigh aice fhèin a tha uile gu lèir drùidhteach agus ùr.